Thanksgiving is here and so is a new tradition – the Black Family 5K! 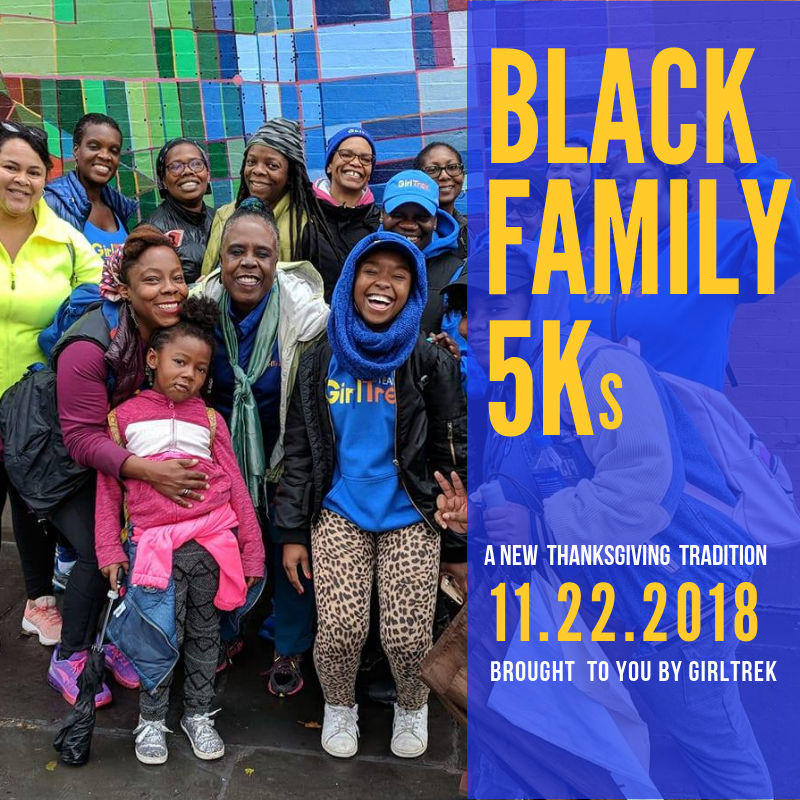 Who: GirlTrek invites you and hundreds of women across the country to start a new and healthy tradition and host a “Black Family 5K” with your family this Thanksgiving. Aunties, uncles, grandparents and neighbors will gather after dinner on Thursday or during the holiday weekend to walk together. What: Joining is super fun and easy. GirlTrek provides everything you need: Race shirts, customizable bibs, and for the first 100 families to register, a shiny medal for the winner! When: Most walks will happen on Thursday after dinner or Friday morning. A few are happening Saturday morning too. Where: Host your own family 5K and spread the word across the country! Tell the GirlTrek family “I’m In!” Share your favorite outdoor selfie or action shot on Twitter, Instagram, and Twitter with the hashtag #GirlTrek! Once you and your family have registered, don’t forget to print your bibs! Create a Facebook event, so that your family members can start RSVPing. Then, go for a walk with your family. Take pictures and share your joy on social media to inspire others.